Dave Eastlake was born in Pennsylvania and was raised in Arizona. At an early age he was enthralled with rodeo. He got his first horse as an eighth-grade graduation gift from his Dad and hasn’t been without one since. Dave graduated from Arizona State University with an agricultural degree. His first taste of winning came at the age of 12 in ribbon roping, with Dave as the runner. Dave rode broncs and bulls in the Junior Rodeos throughout college. After graduating, roping became a part of his every-day life. He was a member of the Arizona Rodeo Association and the Professional Cowboys Rodeo Association. He joined the National Senior Pro Rodeo Association in 1979, when it was known as the National Old Timers Rodeo Association. Dave has qualified for every Senior National Finals Rodeo since he joined. He has served the NSPRA on the Executive Board as President, Vice President and as an Event Director. Dave has won the Calf Roping World Championship five times. He was also a Team Roping and Ribbon Roper World Champion. He was Reserve All Around Champion in 1998 and was the Champion at Finals three times in three separate events. 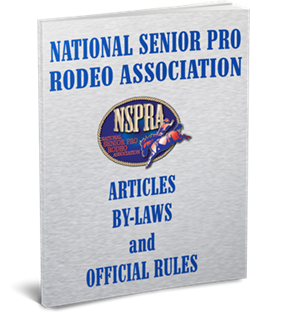 Dave’s dedication to the sport of rodeo and his continuing dedication to the National Senior Pro Rodeo Association show why he’s been elected to the Hall of Fame.